Currently, Wii U owners don't have a lot to play as of right now. However, the Wii U does feature something that makes it still worthy to own for those who missed out on the awesome Wii back catalog of games. 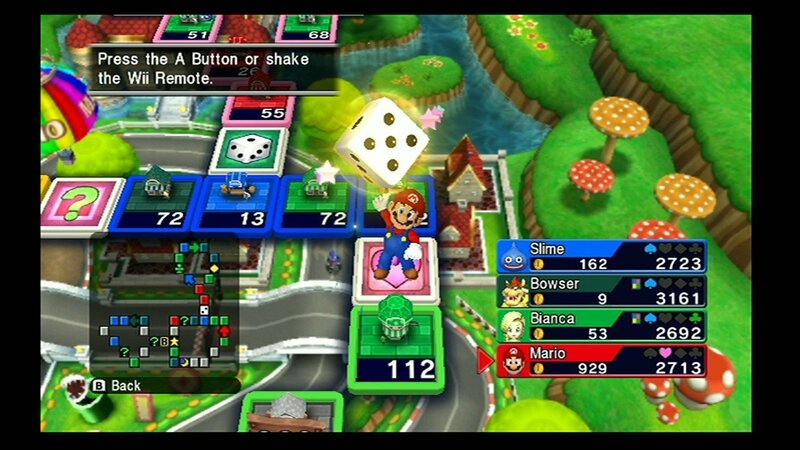 A common criticism among those who are ignorant is that the Wii has few games worth playing. This assumption is most definitely false, as evident by our list of fifty of the best Wii games. That said, while you wait for some titles to finally launch on the Wii U, why not use the system's backwards compatibility to play some Wii titles that you may have missed out on? Better yet, how about you check out this list of twenty Wii games that are available for $20 or less? We could all use some financial assistance, especially in this economy, so why not be a bit frugal in our purchases? That is exactly what this list is for. If you missed out on the Wii for any reason, and you are looking for something to play on your Wii U, this list is for you! Disclaimer: The games listed here and linked to other sites had prices that were $20.00 and under at the time of this article's publication. SuperPhillip Central cannot be held responsible for increased prices that make a given game over $20 after the fact. It's a tough fight between Super Mario Galaxy and Super Mario Galaxy 2 if you ask which of the top-rated games of the generation is better. 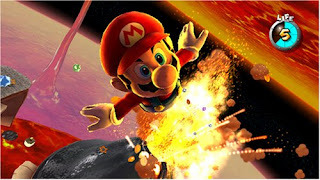 (Actually, SuperPhillip Central rated Super Mario Galaxy 2 higher with a perfect 10.) Regardless, if you own a Wii U and you missed out on this game, a true pinnacle of the platforming genre, then what are you waiting for, an engraved invitation? Games that are as great as Galaxy come out rarely, and rarely are they available for such a cheap price. It makes sense that a launch title for the Wii would hit the $20 and under category, but then you are talking about Nintendo who seldom see the prices of their games drop often. With the Nintendo Selects lineup of games, you get terrific titles for a low price. 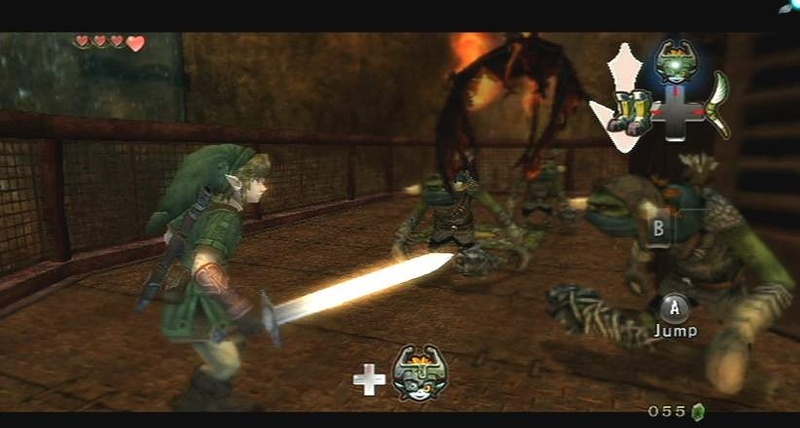 The Legend of Zelda: Twilight Princess might have an extended tutorial (but nowhere near the length of Skyward Sword), but once players get into a rhythm, the game is packed with awesome adventure, dazzling dungeons, and wicked weaponry. 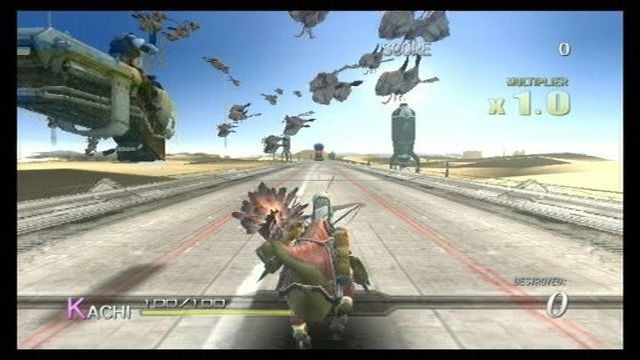 When it was announced that this next game was canceled on the PlayStation 3 and had its development shifted to the Wii, the gaming world had yet another one of its many overreactions. 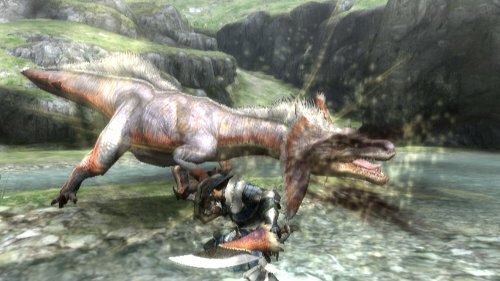 Although an expanded version of the game is coming to both Wii U and Nintendo 3DS, and the servers for the game are being shut down, Monster Hunter Tri is still an incredibly lengthy and deep title to look into. It's also half the price of the 3DS version and $40 less of the price of the Wii U version. Whether you prefer swords or lances, hammers or switch axes, or whatever, Monster Hunter Tri is a worthy purchase. Another game that received a perfect score by SuperPhillip Central is Resident Evil 4: Wii Edition, without a doubt the definitive version of the game. 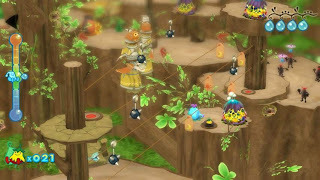 Some argue that the sensational Wii Remote controls make aiming, and moreover the game, too easy. 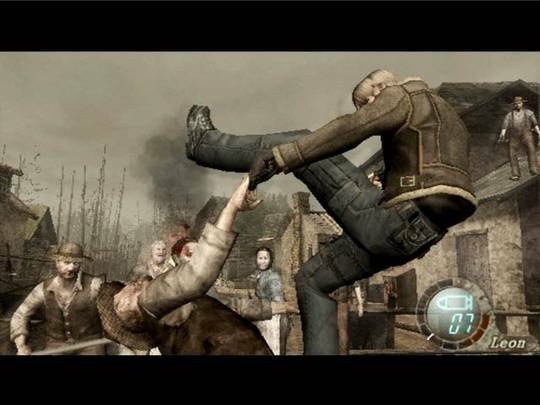 However, Resident Evil 4: Wii Edition offers Classic Controller support, so if you don't want motion controls, you don't need them. This version comes with all of the content of the GameCube and PlayStation 2 iterations. The only thing missing is HD. 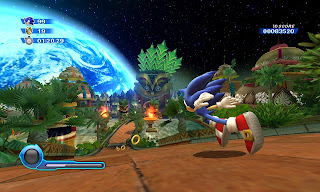 After a torrent of less-than-stellar Sonic games, Sonic Colors was like a fresh and crisp tonic on a warm summer's day. My point is that the game was refreshing. Although it featured what could be called a gimmick, Wisps, which give Sonic different powers, the game was a brilliant blend of 2D and 3D gameplay. It could be said that the foundation of Sonic Colors is what became Sonic Generations. It could be said, mind you, not it should be said. What should be said, however, is Sonic Colors is a gem of a game, and an absolutely splendid Sonic. 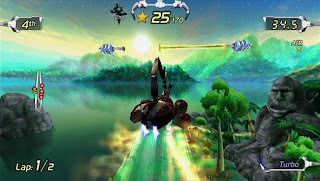 Without any hesitation, I consider ExciteBots: Trick Racing to be two things: 1) One of the most overlooked games on the Wii, and 2) One of the best racers of the generation on any system. Yes, seriously. 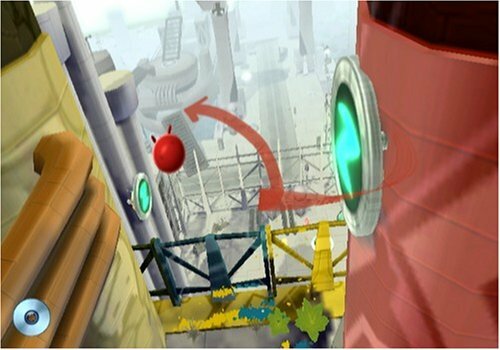 ExciteBots is simply put a creative and manic racer where mid-race one second you're swinging off a pole while the next you're kicking a field goal. This is all to earn more stars than your opponents to be the victor. Online play, multiple animal and insect-themed bots, and plenty of unlockables make for one game that is not only extremely cheap, but extremely fun. 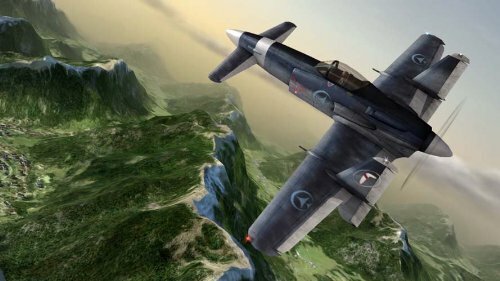 From the team behind the Ace Combat franchise comes a dog-fighting title that might scratch your itch to soar with the eagles... and then shoot them down. (We at SuperPhillip Central do not condone animal cruelty.) With The Sky Crawlers: Innocent Aces, you can choose to use motion controls for flight or opt for traditional Classic Controller play. Play through various missions with varying objectives as you follow along an animated story. Another particular item of interest with this game is the insanely good soundtrack. Find some videos on YouTube and you'll see what we mean! The original Sin and Punishment finally made it to the West in the form of a Virtual Console game on Wii. The sequel, one that many thought would never happen, released on Wii as a brand-new retail title. Suffice to say, the game bombed due to no marketing and little interest from the mainstream. That said, Sin and Punishment: Star Successor is still worth a look. It's an action game in 2D and 3D where getting multipliers is the way to boost your score to insane levels. Speaking of insane things, the gameplay is just absolutely crazy fun. You can get the game for dirt cheap, so what do you have to lose in trying it out? 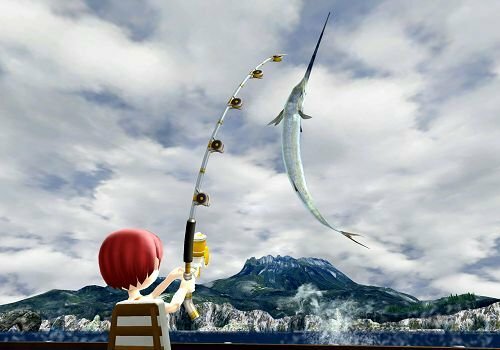 From the mind and creator behind Sonic the Hedgehog comes a fun and cheap fishing game for the Wii, Fishing Resort. 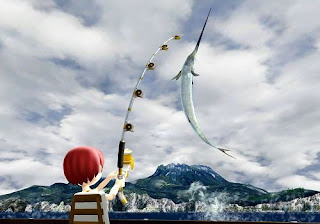 Journey across multiple locales: jungles, beaches, icy areas, as your fully customized character expands his or her fishing credentials, gains new licenses, new lures, and new poles, and populates the local aquarium. It's a game that will tire your arms out at first, but the low price point and amount of content more than makes up for it. Note the game has two SKUs, one with a controller peripheral and one without. The one without is $20 while the one with the peripheral is $30. Paint the town red... and blue.. and yellow... and green... and orange in De Blob! While the developer Blue Tongue may no longer be with us, their legacy lives on in this excellent platforming adventure. The game is all about giving color to stale gray buildings, washing pollution from the evil INKT corporation, and trying to survive during the process. An awesome jazz soundtrack backs this affordable platformer with lots of charm and lots of heart. Do yourself a favor and look into De Blob! 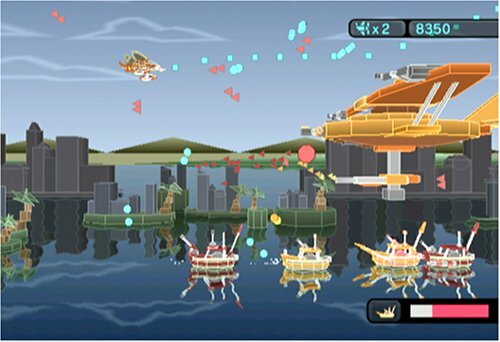 Think of Blast Works: Build, Trade, Destroy as the LittleBigPlanet of shoot-em-ups. The game comes with its own levels, but you can create your own planes, objects (either background or elsewhere), and levels and share them with the Blast Works community. We at SuperPhillip Central cannot recommend this game enough. It even comes with the inspiration for Blast Works, Tumiki Fighters. Given how cheap Blast Works currently is and how much content it contains, you'd be foolish to miss out on this title. From the makers of Elebits, a clever near-launch title for the Wii, Dewy's Adventure has you in a platforming adventure starring Dewy, a water droplet that slides around levels, can turn into ice and a lightning cloud, and is tasked with saving his land from the evil that occupies it. This is all down with tilting the Wii Remote while holding it like a NES controller. The game is a charming one, and it has plenty of colorful lands to explore, puzzles to solve, and bosses to beat. For under $20, there's little to lose by trying it out. A mix between Katamari Damacy and Pac-man, The Munchables might have a sickeningly sweet exterior, but the gameplay is absolutely aces. 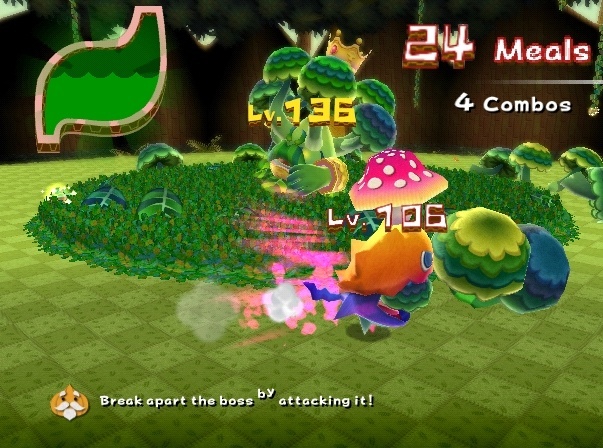 By gobbling up enemies, your Munchable grows larger and larger, able to access new parts of each level. 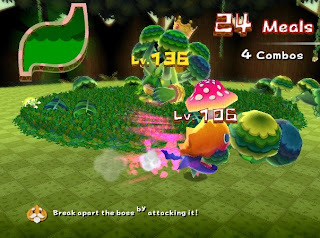 At the beginning of a level your Munchable might be as small as can be, but by the end, mountains that were once enormous can leaped over in a single hop. The Munchables is a title that released to no fanfare whatsoever, hardly any even by its own publisher, but it is definitely worth taking a look if you can get over the childish tone. While it is nowhere near as crazy as Mario Party, Fortune Street is still a competent board game video game. 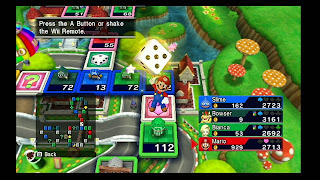 It has hints of Monopoly, the stock market, and Mario Party all rolled up into one game. The casts of the Mushroom Kingdom and the worlds of Dragon Quest combine for some good old fashioned fun. While the Itadaki Street series (as it's known in Japan) has been around for a while, this is the first game published in the West. I found the game worth buying at full price, but at under $20 it is an absolute steal and a good deal.... and I know something about good deals since Fortune Street taught me some lessons in money! If you wish to play a motion-controlled golfing experience with colorful characters, then Capcom and Camelot's We Love Golf! is the game for you. 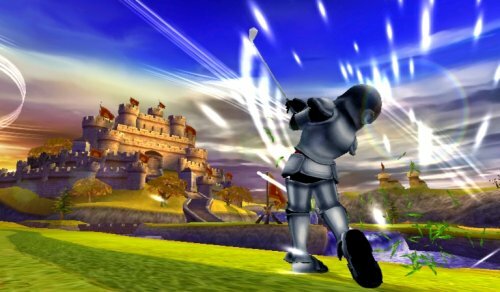 Filled with eight unique regular length courses, three short courses, multiple characters, unlockable Capcom costumes for said characters, online play, a soundtrack by Motoi Sakuraba, and various other modes, We Love Golf! is absolutely packed with content and will take players dozens of hours to perfect and master. Its low entry price point makes it an easy choice to play for fans of taking it to the links. 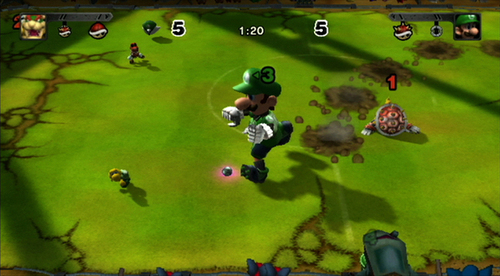 One of the first online-enabled Wii games, Mario Strikers Charged brings with it an exciting take on soccer where items, craziness, and Mushroom Kingdom all-stars rule. Compete in solo and multi-player tournaments, face off against friends and family locally, and score that game-winning final-second goal! Mario Strikers Charged is an excellent addition to Mario's sports legacy, and besides, who doesn't love it when Waluigi scores and does his out-of-nowhere crotch chop animation? You'd have to be soulless not to love it! A Final Fantasy game that the Wii can call its own (other than the fabulous Final Fantasy Fables: Chocobo's Dungeon), Final Fantasy Crystal Chronicles: The Crystal Bearers offers motion-controlled combat, various gameplay styles, and a superb soundtrack. While nowhere near a typical Final Fantasy game, The Crystal Bearer possesses plenty of things to do and see, which will give that New Game+ option a lot of use. See Square Enix's experiment with a new type of Final Fantasy game by trying The Crystal Bearers today. The original No More Heroes was put on the HD consoles, but the second game, No More Heroes 2: Desperate Struggle, is still exclusive to the Wii, and cheap to boot. Join Travis Touchdown as he aims to make it to the top of a list of assassins. This ultra violent (but stylishly so) game is one where the motion controls feel great for the game. Moving the Wii Remote in a given direction to finish off an enemy feels oh-so nice, even after the hundredth time doing so. 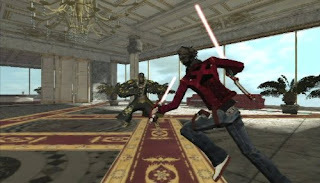 For a gamer on a budget, No More Heroes 2 is certainly worth a look. 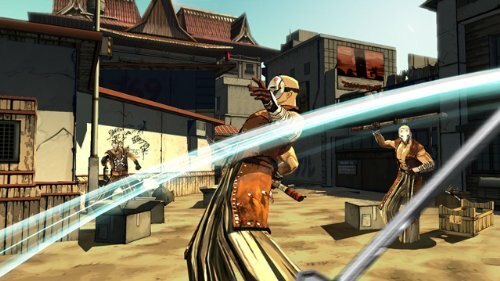 Red Steel 2 offers something similar to The Legend of Zelda: Skyward Sword-- that is, 1:1 swordplay. What Skyward Sword lacks, however, is some fun gun firing for added enjoyment. 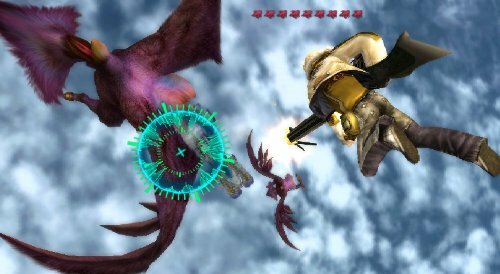 The two gameplay styles combine to create an overlooked but insanely fantastic first-person experience on Wii. No doubt the original Red Steel and its empty promises burned a lot of Wii owners, so it is to be expected Red Steel 2 would have done poorly, at least in hindsight. That said, the game is full of action, intense sword fights, gun battles, and plenty of cool missions to do. Note: The game requires the MotionPlus add on. In a world where anything and everything can be used as a means to attack, Verrigan City is a fighter's dream. 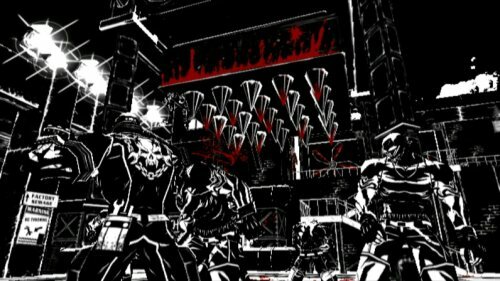 An M-rated offering, MadWorld was Platinum Games' sole Wii offering, delivering over-the-top violence, an awesome graphic novel-style aesthetic, and a good bit of humor thrown in for good measure. Early this year, PlayStation 3 and Xbox 360 owners were able to experience the follow-up to the game in the form of Anarchy Reigns. If you liked that title, then give MadWorld a try. It's cheap after all. So cheer up, Wii U owners. Things are bleak as ever with this drought of games for the system, but you can pass the time until LEGO City Undercover and other titles with some of the games listed here for you today. Not only are they competent, but they are also cheap and won't damage your wallet too terribly much. If you have other Wii games that are not one of these twenty that you believe should be listed, post your thoughts in the comments section. Because of this list, do you personally see any Wii games that you might be buying now?